Please be advised that the tramway is not operating while major road reconstruction takes place. Our popular Tram Tours will be available as soon as the full loop is back in operation. Our Group Tours have a "new look" to them as Pescado Cafe & Restaurant join with us to present three interesting and fun "Tram Tours" in Wynyard Quarter. 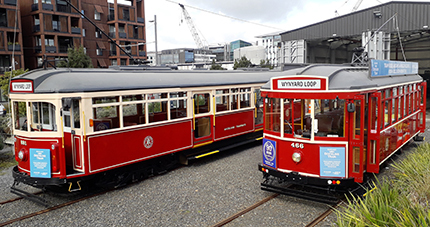 - Commencing at the Tram Barn, take a ride on one of our 1920s heritage trams for a 20 minute journey around Wynyard Quarter which includes an informative commentary. - This is followed by a 30 minute leisurely guided walk. Points of special interest include; some unique species, lush gardens of native flora, an experimental man-made wetland and a “living” roof. You will also learn about the recycling and sustainability features incorporated into the Wynyard Quarter. - Conclude the tour with morning or afternoon tea at Pescado Café, situated at the water’s edge on the North Wharf. - The Wynyard Quarter Native Gardens Tour is priced at $15 p/p. or if you prefer not to include the café, the price is $8 p/p for the tram ride and guided walk. Tour is available on Mondays, Tuesdays and Wednesdays and includes FREE off-street parking right beside the Tram Barn in Pakenham Street. On behalf of the North Shore Horticultural Society we would like to say a 'big thank you' for a wonderful day. Susan gave an outstanding presentation and talk about the native plants and the surrounding area along with her helper and also Hugh & Peter with their tram commentaries. Everyone enjoyed their morning tea at the Rushworth Cafe, then they all spent many hours exploring the Viaduct area and plan on coming back as not enough time to see it all. A great trip and so informative. I learned so much and enjoyed the whole experience and will be going again. The speaker was so knowledgeable and a nice person. I enjoyed the tram trip, our lady guide was very informative. There wasn't a question put to her she couldn't answer. The Scones and Jam went down a treat too. Last summer, our Trip Down Memory Lane Tour was a real hit! Although it is still available if requested (scroll down for details), Waterfront Auckland's "Dockline Tram" have now created another exciting nostalgia experience for the residents of Retirement & Senior Citizen Homes, Probus and Travel Clubs etc, for this coming summer, commencing January 5. All the loved features of our Trip Down Memory Lane tour are still there, but our new tour has an added twist. So come down to the Wynyard Quarter for a journey back in time and a glimpse into the future with Auckland’s Dockline Tram and The Roaring 20s Tour. - Free and easy off-street parking right beside the Tram Depot in Pakenham Street. - Within the unique setting of the Tram Depot, enjoy a lively toe-tapping fifteen minute video presentation, featuring Auckland’s historic 1926 Wurlitzer pipe organ, formerly of the Regent Theatre in Queen St.
- Board one of our two 1920s heritage trams for a 15 minute journey around the Wynyard Quarter. Our Motorman will point out items of interest along the way and the exciting plans for this new development of the Auckland Waterfront. A couple of circuits can be enjoyed. - Conclude the tour with morning or afternoon tea at Pescado Café situated right on the 1920s North Wharf, with the tram dropping you off and picking you up right outside the front door. - For this we have created a great “all-in” price of $15.00 per person which covers the whole outing! Or if you prefer not to include the café, $8.00p/p will give you the video and tram ride. We look forward to hearing from you soon to arrange a visit to the Auckland Dockline Tram and enjoy our Roaring 20s Tour. Come down to the Wynyard Quarter for a journey back in time and a glimpse into the future with Auckland’s Dockline Tramway. 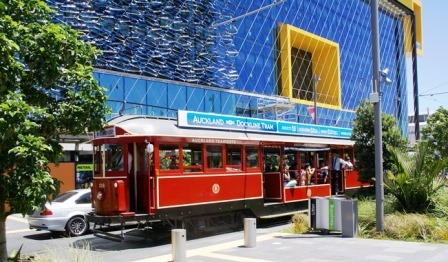 Waterfront Auckland's "Dockline Tram" nostalgia experience for the residents of Retirement & Senior Citizen Homes, or any groups looking for that outing with a difference, is proving extremely popular. - Within the unique setting of the Tram Depot, enjoy a ten minute video presentation from the golden days when trams ruled Queen St, Auckland. 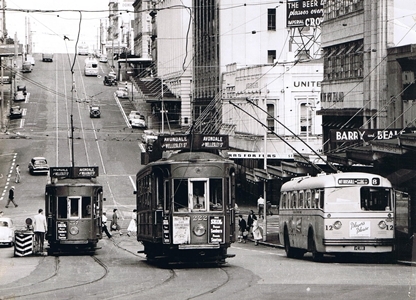 Step back in time to remember the buildings and department stores, the cars, the fashions and the trams!! - With our special mobility steps, it is easy to board one of our two 1920s heritage trams for a 15 minute journey around the Wynyard Quarter. Our Motorman will point out items of interest along the way and the exciting plans for this new development of the Auckland Waterfront. A couple of circuits can be enjoyed if requested. - Morning or afternoon tea can be arranged with the Pescado Café situated on the tram route – tram will drop-off and pick-up from the door. 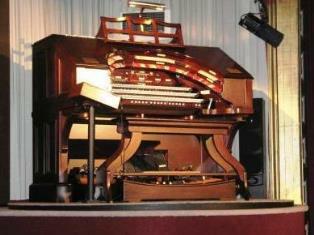 All inclusive price for this is $15.00 per person. If you prefer not to include the café, $8.00p/p will give you the video and tram ride. We look forward to hearing from you soon to arrange a visit to the Dockline Tramway and enjoy this great trip down memory lane. Bookings by email are essential.